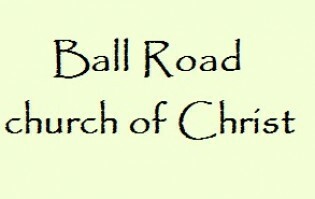 Here at the Ball Road church of Christ we understand the importance of relationship within the Body of Christ and then as believers reaching out to a lost community with the message of salvation in Jesus. Some of our ministries are new and need additional support, while others, like the preschool, are established and thriving. If you are looking for a church home in which every member is encouraged to find an area of service, please give us a try and we promise we can find a place for you to serve using the talents with which God has blessed you!